Description: Another lovely Chypre perfume from the 1940s. They really made great Chypres between 1930 and 1957. This is another great perfume for the perfumista collection of classic scents. Ma Griffe was launched in 1946. 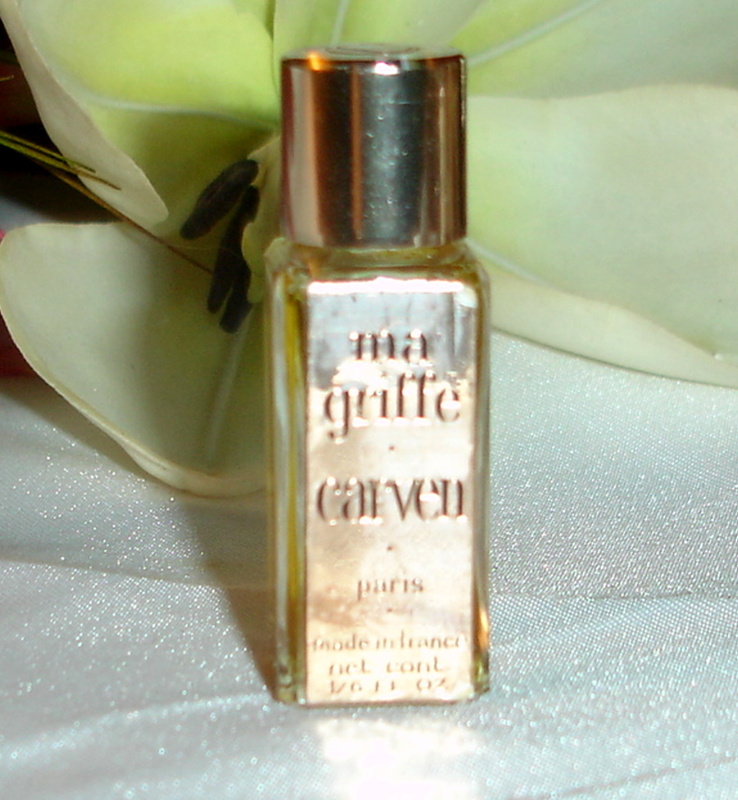 The nose behind this fragrance was Jean Carles. Top notes are aldehydes, gardenia, green notes, asafoetida, clary sage and lemon; middle notes are iris, orange blossom, orris root, jasmine, ylang-ylang, lily-of-the-valley and rose; base notes are labdanum, sandalwood, cinnamon, musk, benzoin, oakmoss, vetiver and styrax. Great foil label. 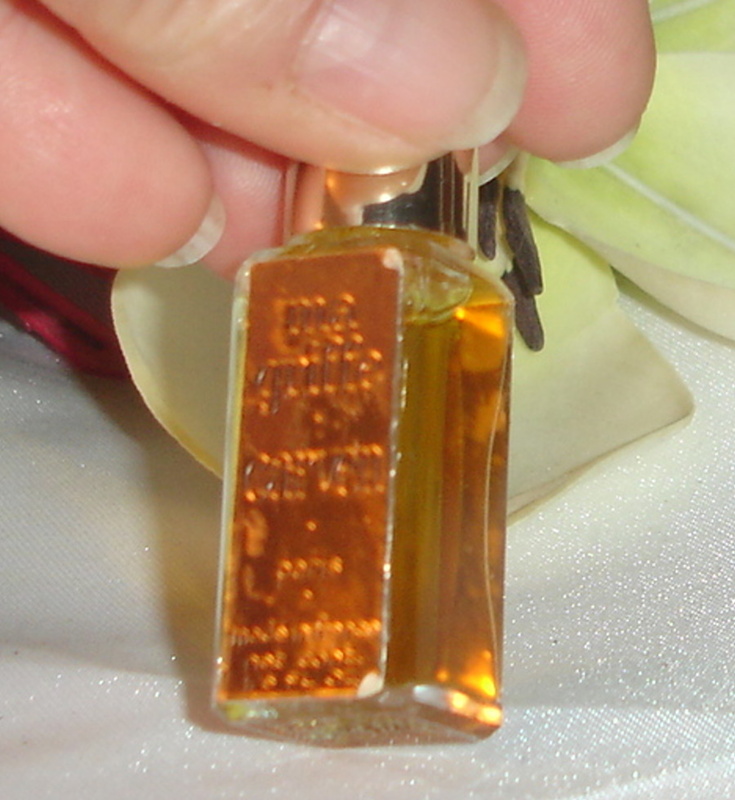 Bottle is 1/6 oz, which is 5ml, and it is full of original perfume in wearable condition.